The way fleas reproduce is a very quick one, a female can lay one egg per hour during its 3 months lifespan. Imagine that in these three months a female may lay over 2,000 eggs. If you have pets, chances are that fleas already spread in your home. High temperature and high humidity areas are the main causes why fleas gather in your home or around it. You have to wash all the curtains, all the clothes exposed to fleas, all the rugs and all the objects you observed fleas or tiny blood spots on them at high temperatures. To ensure that the fleas will avoid your clothes, add a little vinegar inside the washing machine and make sure the detergent is strong and the washing cycle is using high temperatures. Besides washing, vacuum throughout the house. Vacuuming is the main option to get rid of fleas. Make sure the vacuum cleaner is used carefully to avoid fleas to escape from it. After vacuuming, remove the disposable bags or burn them. To prevent future contact with fleas, make sure to wipe your feet carefully when entering the house, mow the grass in the garden and disinfest your pet and the areas where they sleep or where they spend more time. 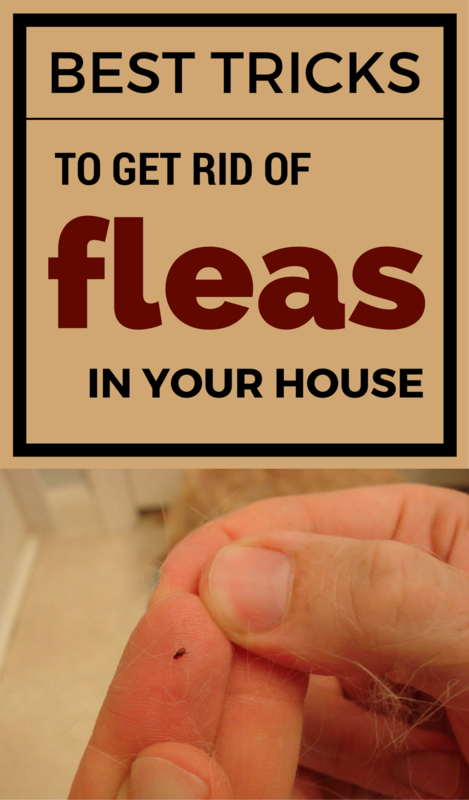 Did you get rid of fleas using this method? Please share this info with others. Sharing is caring 🙂 .